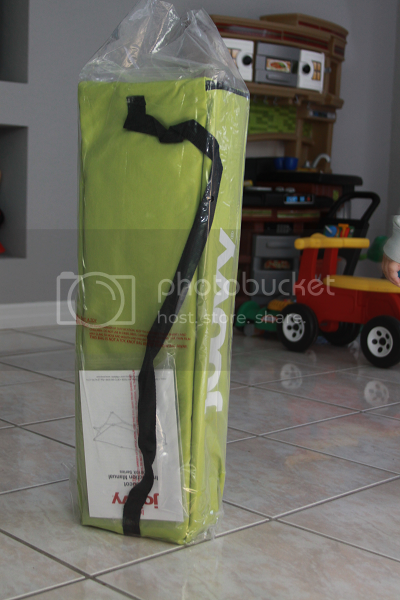 Last February I did a review for Joovy's Moon Room which has been a lifesaver when we travel. Though it paints me to admit, my baby is growing up and we were a little stuck when it came to our upcoming travel plans this holiday season. With Ethan no longer sleeping in a crib and being large (read: gigantic -- what happened to my itty-bitty snuggly baby?!) enough to hoist himself out of any relative confinement, I was a little nervous. 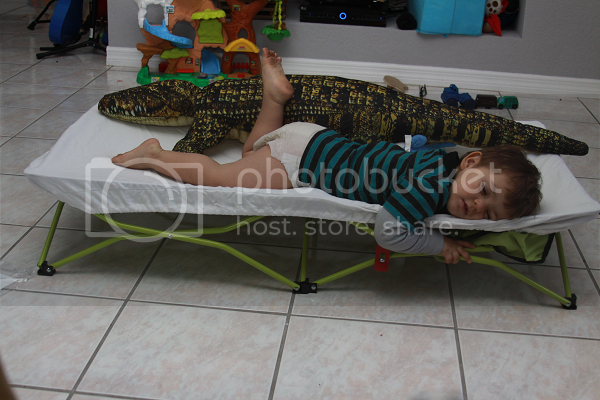 Ethan knows he sleeps in a bed, but toddler beds aren't exactly feasible for travel. What do you do? Take them apart and reassemble them at each destination? With three different overnight stops in November alone, this seemed a little daunting. Ready to save the day like always, Joovy stepped in with an awesome solution: the Joovy Foocot. When the Foocot arrived, I had some concerns. How hard was the assembly (see also: I won't always be traveling with my husband and will have to survive on my less-than-stellar handymom abilities)? Would it be comfortable? Was it too high and would he roll off and hurt himself in the middle of the night? All of these concerns dissipated from the moment we removed the Foocot from the packaging. 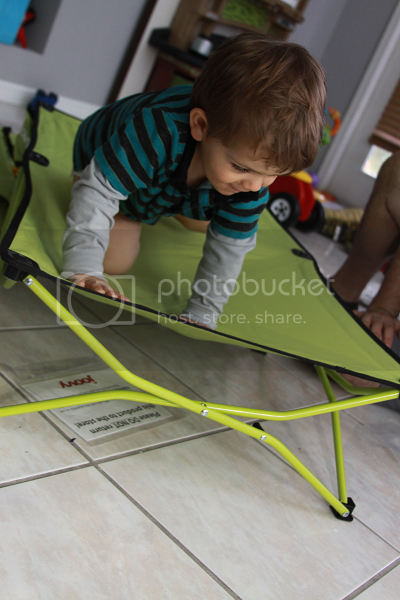 The Foocot is actually a really sturdy, well-made, comfortable bed for toddlers and children. Using their sheer brilliance, Joovy has figured out a way to make it compact and perfect for travel without compromising on comfort. Or, like I was also concerned about, ease of assembly. ...Mostly because there is no assembly. You just pop it open and suddenly it's a pretty awesomely sized bed! The Footcot weighs less than seven pounds. Assembled, it's an impressive 9.5" H x 25" W x 48" D. Unlike my original concerns, it's not at all high enough for kids to roll off and get hurt. 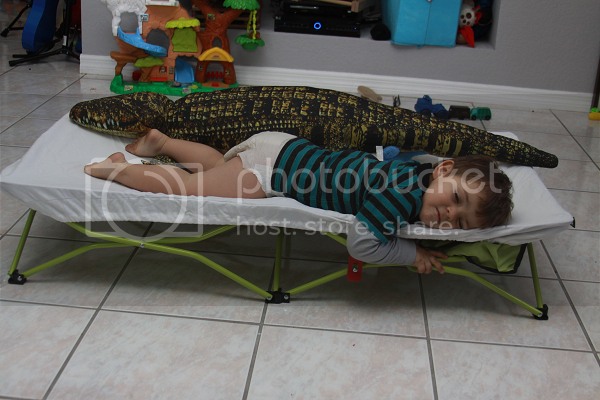 And to my added surprise, it's actually really wide -- wide enough for Ethan to lay on comfortably with his lifesize plush alligator (with room to spare!). 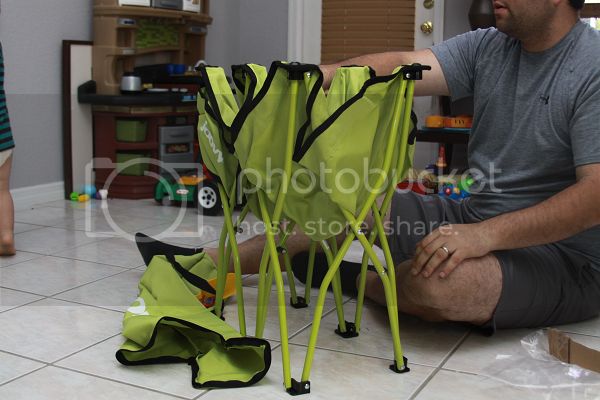 My husband and I were extremely impressed with the construction of the Foocot. 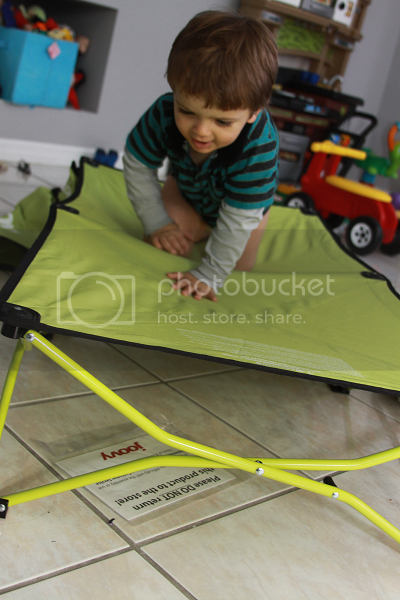 Unlike traditional pack and plays, your child does not lay across the bars. The bars don't come in contact with the base of the bed due to the Foocot's unique and practical design. The way the fabric is sewn together in a cross pattern across the top provides great support for little ones and their backs! 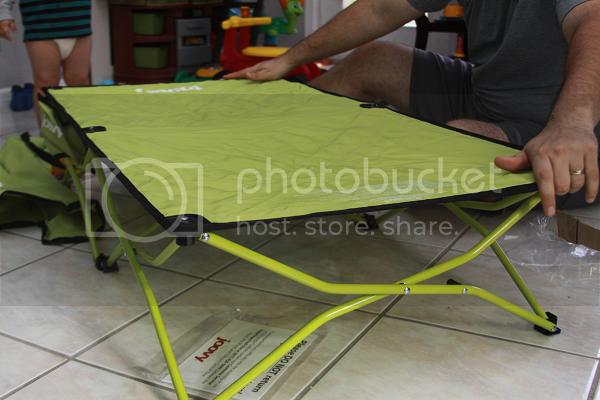 The base of the bed itself is made from top-grade 600D nylon fabric. 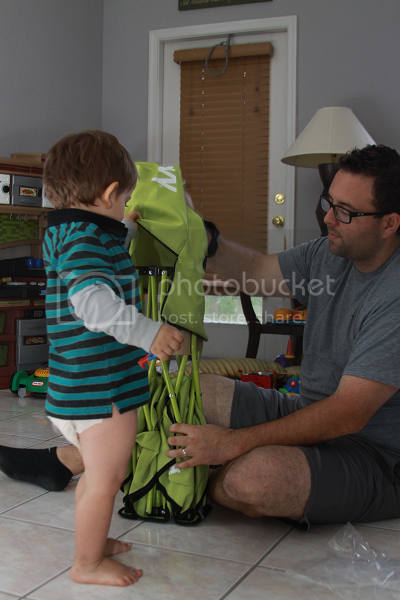 Even with Ethan crawling across the top (and this kid is no joke at just shy of 40 pounds), the nylon is extremely supportive and doesn't cave under his weight. 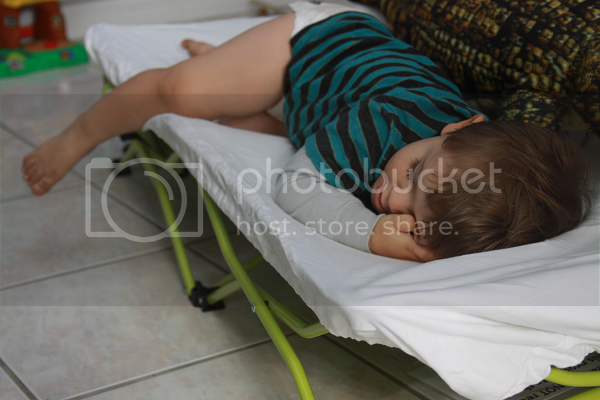 Because of the strength of this fabric, the Footcot is great for kids up to 75 pounds. The Foocot also comes with a custom fitted sheet made out of 100% cotton (extra fitted sheets can be purchased separately). 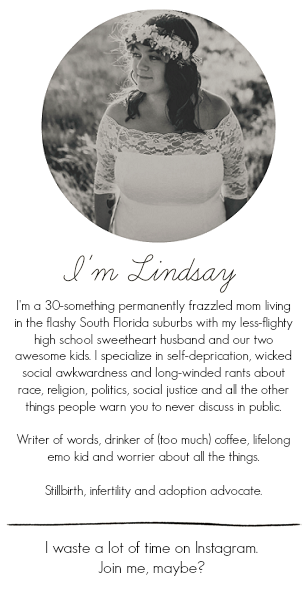 For $39.99, you can also purchase a quilted mattress pad specifically made for the Foocot. 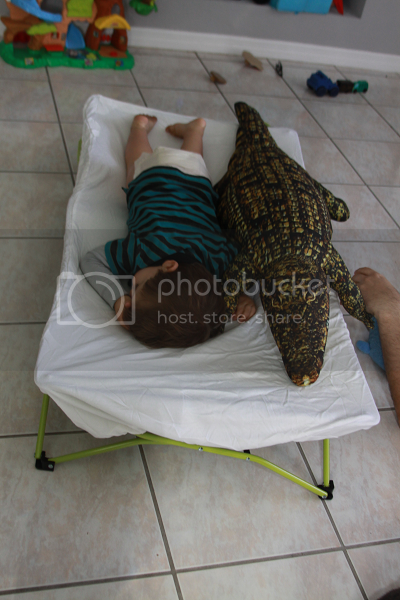 Even without the mattress pad, the Foocot is extremely comfortable. The Footcot also has an attached storage pouch which is perfect for overnight supplies: toothbrushes, a flashlight, a special stuffed animal. We chose to keep our fitted sheet safe and stored in the pocket. When morning comes and you're ready to pack up and head out, the Foocot takes about ten seconds to close back up and put away. 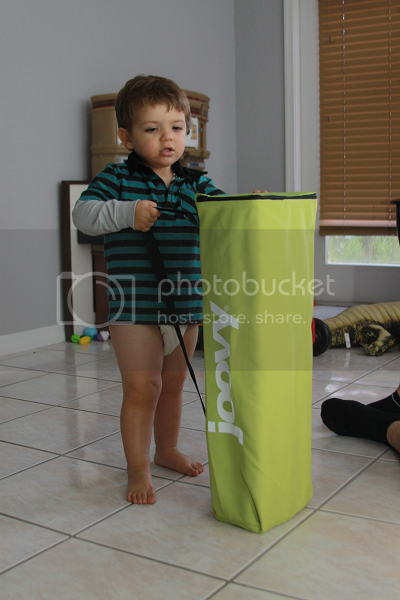 Where To Buy: The Joovy Foocot comes in five different color options and is sold for $69.99 on Joovy's website. 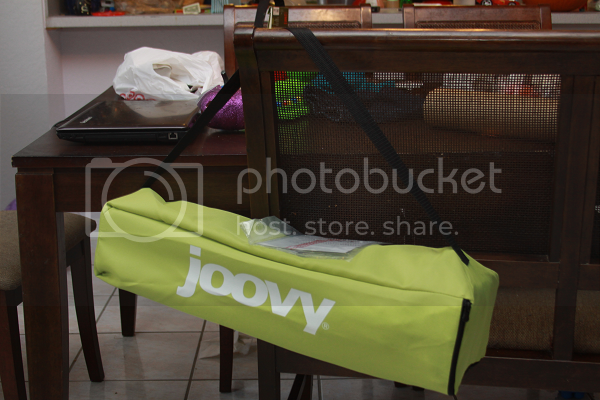 Stay Connected With Joovy on Twitter and Facebook for more exciting news and special updates!